Services — Richardson Fire Systems Inc.
Richardson Fire Systems provides you with superior customer service. We handle a wide variety of fire protection needs from small renovation projects to new building installations, repairs, and inspections. Please browse our services below for more details. RFS supplies, installs, and maintains fire alarm systems from the simple single zone systems to the large state of the art addressable networks. We have manufacturer/factory training from Siemens and Mircom for all of their systems. No one knows these systems better than we do! Fire extinguishers must be inspected each year as per the Ontario Fire Code and NFPA 10. RFS performs the inspections, repairs and recharges units as required and issues comprehensive reports detailing which extinguishers are due for scheduled maintenance. We perform large and small installations of sprinkler systems, modifications repairs and inspections. Sprinklers must be inspected to NFPA 25 standards. We perform these inspections and upon completion we issue a comprehensive report as required by the Ontario Fire Code. Emergency Lighting must be tested as per the Ontario Fire Code section 2.7.3.3 to ensure it's proper operation during a power failure. RFS issues detailed inspection reports after this annual test is completed. Suppression systems in kitchens and industrial applications are to be maintained and inspected to NFPA 96 standards on a semi-annual basis. RFS performs these semi-annual inspections/ maintenance to ensure that your insurance coverage is maintained. From data centres to engine rooms and paint shops, our staff of experts will help you protect your most important assets with the appropriate fire protection solution. RFS will perform semi-annual inspections and provide detailed reports. 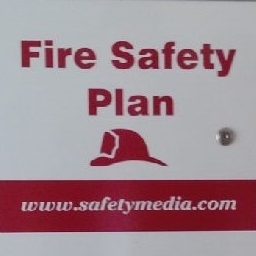 Fire safety plans are required for most buildings in Ontario. RFS prepares the diagrams and plans for your local Fire Department approval and will also deliver comprehensive staff training for the implementation of the plans.